I cannot stop making Valentine decorations! Why do I love these colors this time of year so much? When I was asked by my local country boys store (yes, and my favorite by the way), to participate in a Valentine Tulle Challenge, I happily accepted. I am sharing below the tulle pom-pom bunting I made for this challenge. Also, check out the other girls’ projects too. Smith and Edwards is a store where you can literally find anything! 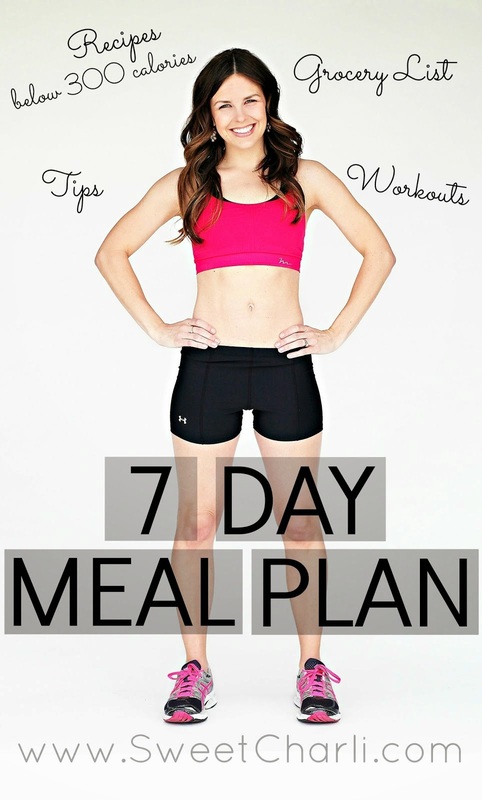 They have everything from clothing, shoes, sporting goods, to kitchen needs, wrapping and craft stuff, toys, and more. 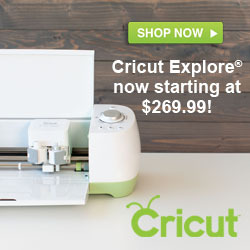 If you don’t live in Northern Utah, don’t worry, you can shop online HERE! I was excited when I saw their cute tulle selection. 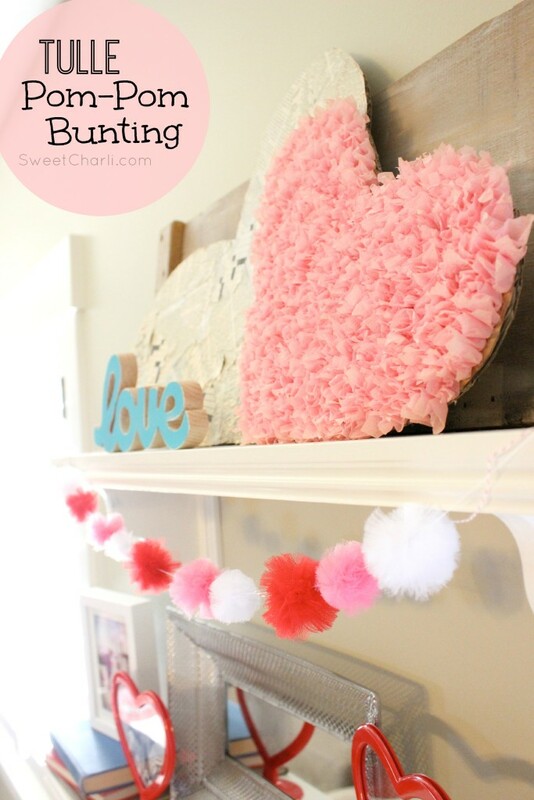 I immediately thought of a pom-pom bunting that I have always wanted to make. 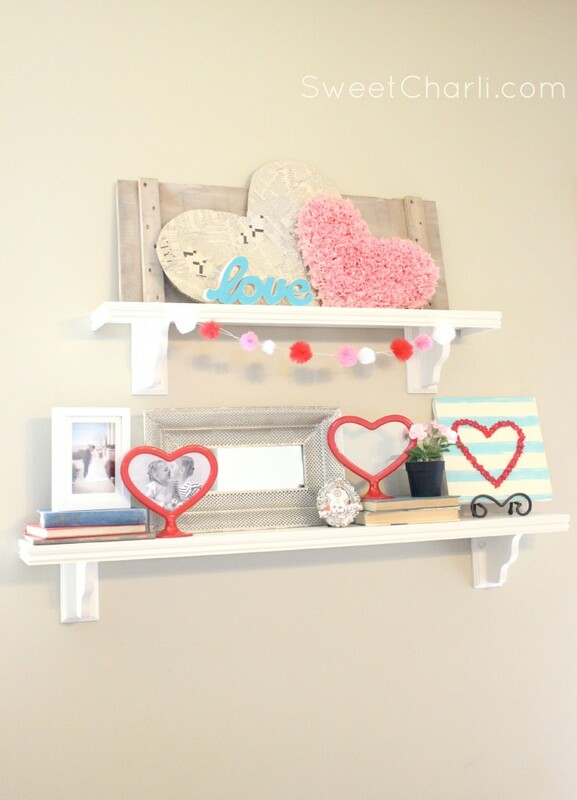 This is an easy project that adds so much cuteness to your home. All I used for this bunting is: tulle, bakers twine/thick thread, needs, scissors, and a potato smasher (you can use a large fork too). 1. You will need your potato smasher and tulle. 2. start wrapping your tulle around the grooves in your smasher. I wrapped mine around 11 times. This was a good number because you don’t want your tulle pom-pom to be too thick or too sparse. When you are done wrapping it, tie a tight knot around the center with string. 3. Start to slide off one side into your scissors and cut the loop. 4. Slide off the other side and cut that loop. 5. 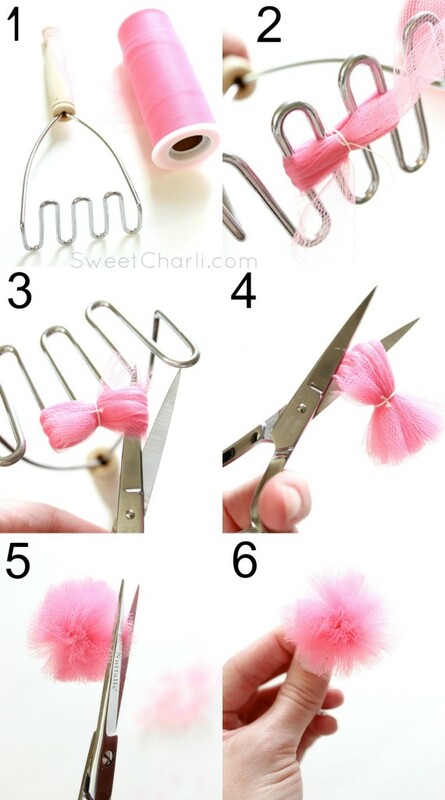 Trim your pom-pom do desired size. If you like the size it is then just even-up any longer pieces. That’s it! One tip I would recommend if you are using a potato smasher (which you can get as Smith and Edwards btw), is to put the handle of the smasher in between your legs while you are doing this. That way, you will have both hands free to work with! I like to use a few different sizes of pom-poms on my bunting to give it variation. I also like to space them unevenly. If you love the cute, red heart frames on my cafe shelves, you can find them HERE. If you like the pink and newspaper hearts, you can find the tutorial HERE. And, if you love the cute, weathered wood I have on the top shelf, I took it off of an ammo box that I bought for $4 at, you guessed it, Smith and Edwards! A few weeks ago I participated with two of my friends in another Valentines Day Challenge using a $3 heart from target. See that post HERE. How wide of a piece of tulle do you use? I just use the tool that comes on a spool, I think it is about 4-5 inches maybe? !